Another pre-1960 NYS Camp patch, this one is from Camp Babcock Hovey. Camp Babcock Hovey was the camp of Finger Lakes Council, it is still in use today as part Seneca Waterways Council. The lodge which served this Camp and Council was Ganeodiyo Lodge #417. It is now served by Tschipey Achtu Lodge #(95). This was another item I acquired at the Williamsville TOR last month. 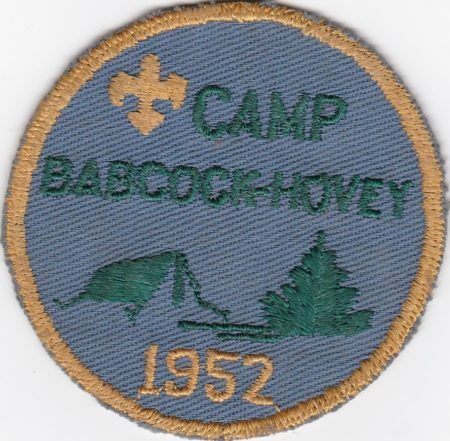 Does anyone have any other pre-1960 Camp Babcock Hovey patches for trade or sale? Or images to share?